Much like lil' corner grocery stores, there seems to be a small Japanese restaurant in every neighbourhood. 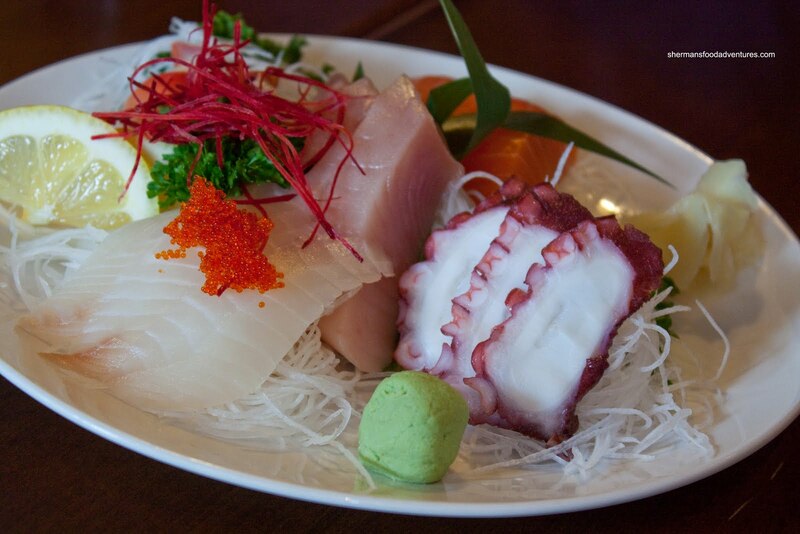 Depending on your location, there could be many small Japanese restaurants within one block. 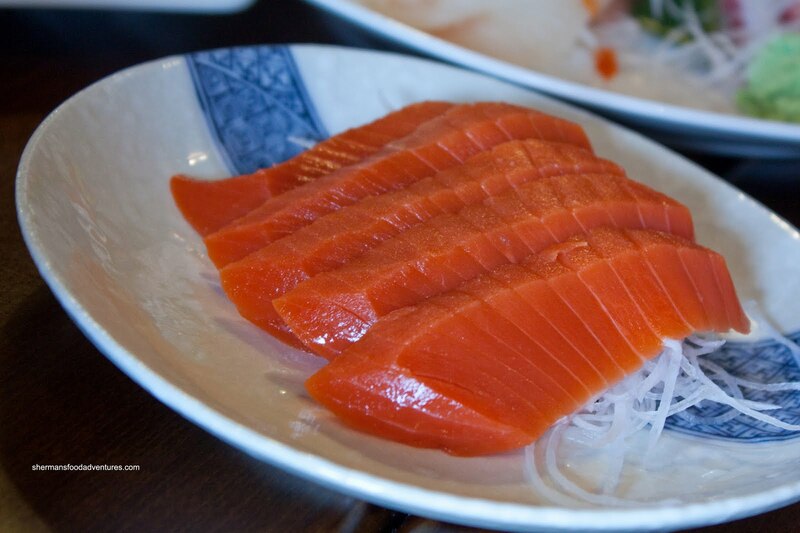 In the Lower Mainland, it seems that the majority of Japanese restaurants are not even Japanese-run. Most are Korean or Chinese-run. In fact, one of the most busiest, Samurai Sushi, is run by Vietnamese. For those who are not really picky about their Japanese food, many of these places fit the bill. Of course there are "real" Japanese restaurants to be found; but they are far and few in-between. 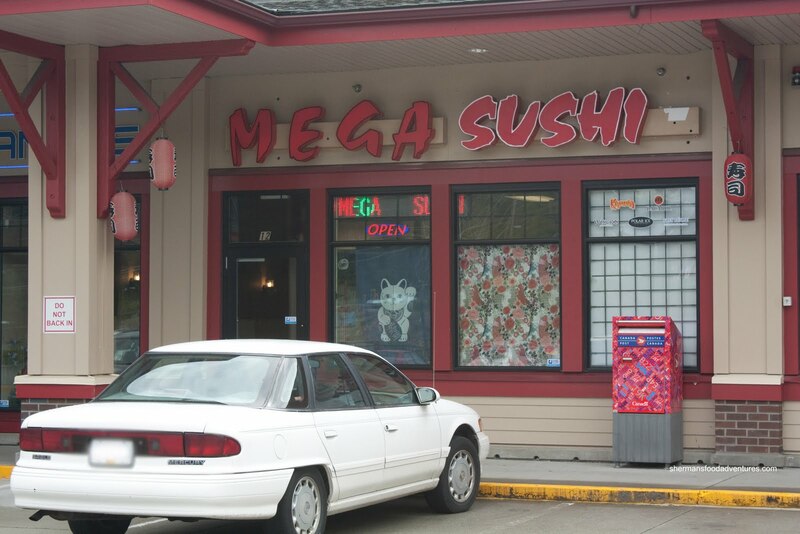 So for no apparent reason other than to eat at a random small Japanese restaurant, we drove all the way to the end of Austin in Coquitlam to visit Mega Sushi. I'm sure there are those people who will wonder why I drove all the way out here for such an insignificant restaurant. Well, I am attempting to eat everywhere, so certain sacrifices must be made. We started off with the Assorted Sashimi. Attractively plated and equally fresh, we were surprised with the quality. Not the best sashimi we've ever had; but not bad considering where we were. The salmon was probably the best part. It had a fresh texture and there was a discernible sweetness to it. I liked the tako; however, it could've been sliced just a tad thinner. 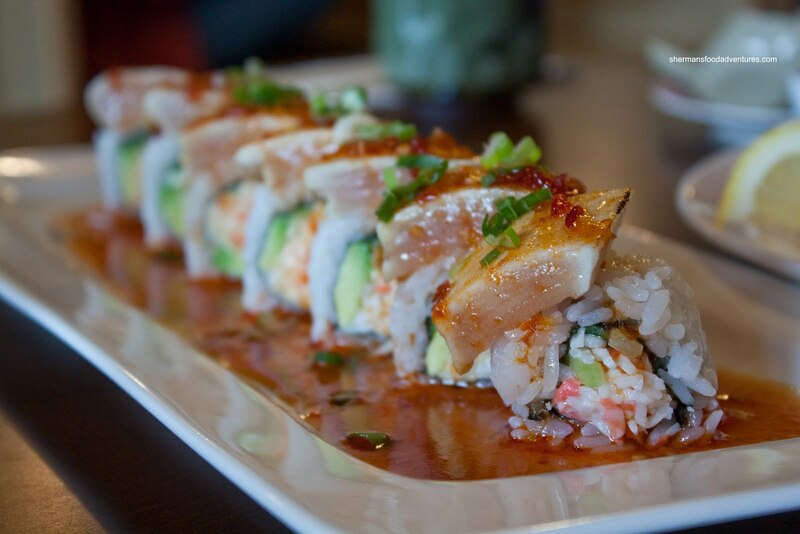 For our specialty maki, we got the Tuna Tataki Roll. This was essentially a California roll with tuna tataki on top. Seeing how this was practically a full order of tuna tataki, the price tag of $7.95 was very reasonable. We found the sushi rice to be somewhat wet. Not sure if it was the rice itself or the copious amount of sweet chili sauce doused on top. That somewhat ruined what was a good roll. It dominated the flavour profile. However, the tuna tataki itself was prepared very well. 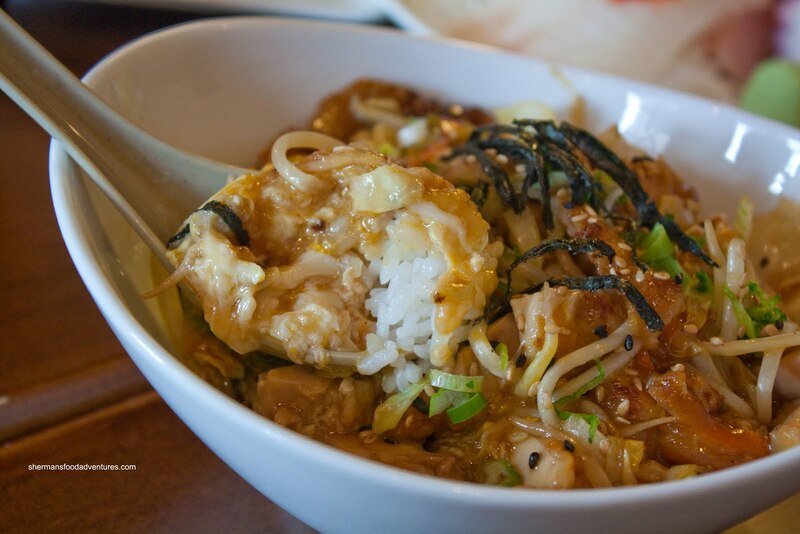 Since the place is Korean-run, we were not surprised to see that the Oyako-Don looking different. It was a messy mix of sprouts, nori, green onion, somewhat cooked egg and chicken. Not authentic; yet tasty nonetheless. Lots of flavour and ingredients eliminated any chances of a scoop of plain rice. By virtue of all the toppings, the whole thing became a bit wet in the end though. 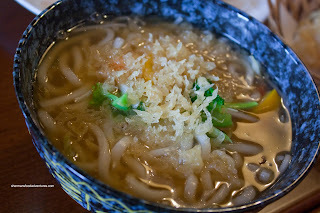 Having a lot of things in my oyako-don is one thing; but I am personally not fond of too many ingredients in my Udon. In addition to a mix of veggies, they added tempura bits in the Udon. I have never liked that because it gets soggy and goupy. I like my udon plain with a fish cake or two, that's it. So I was not a huge fan of this. Especially since the broth was predominantly sweet as well. 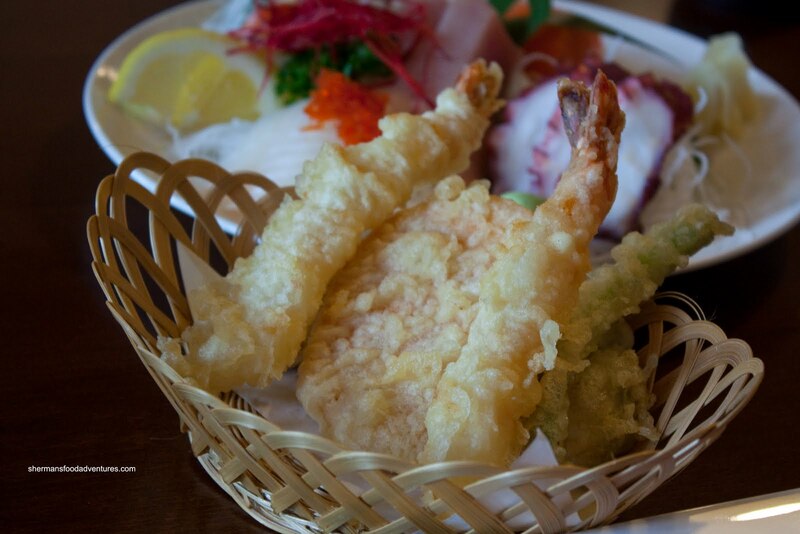 The accompanying Tempura was good tough. The batter was crisp and light despite the visuals. I especially thought the ebi was good since it was meaty and cooked perfectly. As we were finishing up our meal, the server suddenly presented us with a complimentary order of Wild Sockeye Salmon Sashimi. Were they being nice? Was it my camera? I tried to be as discreet as possible... Whatever the case, the sashimi looked good and it was good. A nice rebound texture and natural sweetness ensured that we would like it. 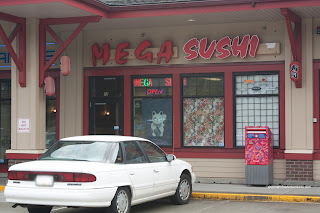 Now if we look at Mega Sushi as a "Japanese" restaurant, there might be some issues considering that both the udon and oyako-don were not typical. So for those authenticity-seekers out there, it's best to move along since this place will only infuriate you more. But if you are not too picky and really don't give a damn about who owns and runs the place, Mega Sushi is a decent neighbourhood Japanese restaurant that offers up more than edible food at a reasonable price. Moreover, we found the service to be attentive and friendly. And that wasn't only for us either. I live around Coquitlam and I do not know of any decent sushi place except for California Sushi. It is tough finding a decent sushi place around town. Your pictures look so good. Thank you for recommending such a restaurant! @Kimberly Mega Sushi is decent; but try Osamu, it's really good!